At a Washington, D.C., luncheon in 2007, executives with the Spanish-language television network Telemundo asked Jorge Fernandez what he thought the Latino community needed. “We need la Santa Misa. We need the Holy Mass,” he replied, citing the great need to make la Santa Misa accessible to those who are homebound or have difficult work schedules that make attending Sunday Mass impossible. 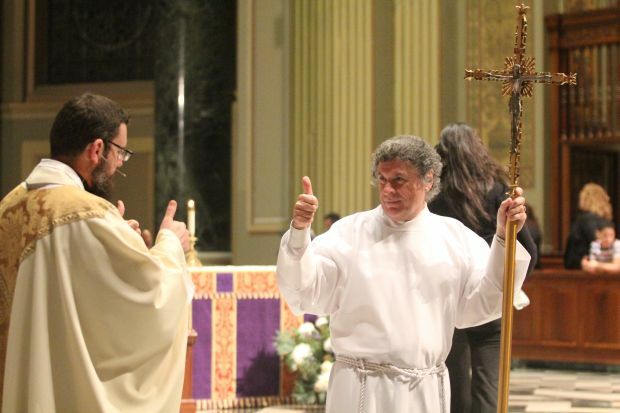 It was a lifelong dream of the Cuban-born Fernandez, who now is the executive producer for the Mass and a member with his wife of Our Lady of Guadalupe Parish in Buckingham. After first speaking with Msgr. Hugh Shields, who at the time was vicar for Hispanic Catholics in the Philadelphia Archdiocese, to obtain his support and prayers for the project, Fernandez approached several local institutions to obtain a place to tape the Mass and a team to produce it — all without much success. But that changed after a chance meeting with the former Archbishop of Philadelphia, Cardinal Justin Rigali, who gave permission to use the Cathedral Basilica of SS. Peter and Paul, where the first taping of the Mass took place in November 2007. Initially broadcast on Telemundo, today “La Santa Misa” is broadcast weekly on the larger Univision network. 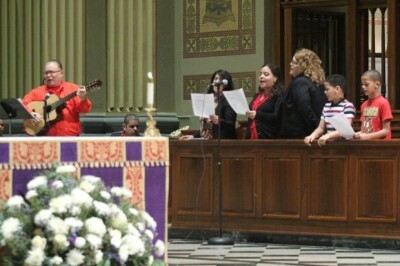 It allows an estimated 5,000 to 7,000 viewers to experience the Mass celebrated in Spanish every Sunday at 6:30 a.m.
Fernandez believes the importance of having a televised Mass in Spanish is enormous because it demonstrates Catholic lay organizers in action and the capacity of the Latino community to come together to serve one another. “La Santa Misa” requires the collaborative efforts of individual lay people, the archdiocesan Office for Hispanic Catholics and the archdiocese as whole to provide this ministry to the Latino community. 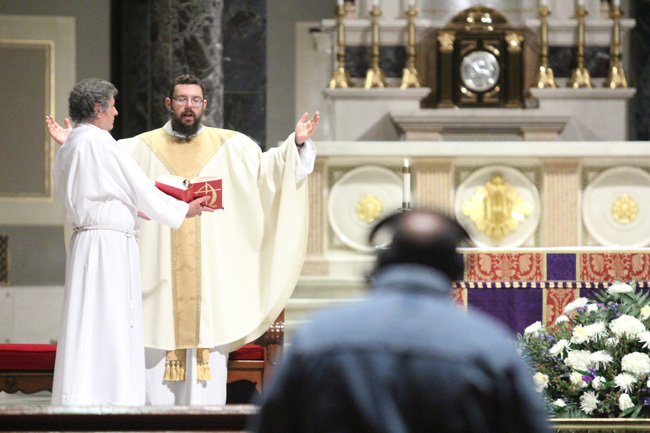 The televised Mass requires the coordination of volunteers from the many parishes with Hispanic Catholics throughout the archdiocese who serve as lectors and music ministers at each televised Mass. It showcases the talents of a community that is diverse yet unified as each offers its gifts in service to others. It also provides parishioners from across the archdiocese with opportunities to meet one another who otherwise might not have met. Since the time the televised Spanish Mass began seven years ago, it has become a way to bring hope to a Latino community that continues to move forward. “They said it wouldn’t last, but seven years later here we are,” Fernandez said.